There are only two things that could freak me out; meeting my favorite idol group, Arashi in the flesh and meeting real life authors. Oh you must be thinking, how melodramatic can I get? In my world, authors are my celebrities. As a writer myself, a published author is a dream come true. They’re an inspiration. As a reader, I feel excitement and awe interacting with those I consider as world creators and word weavers. 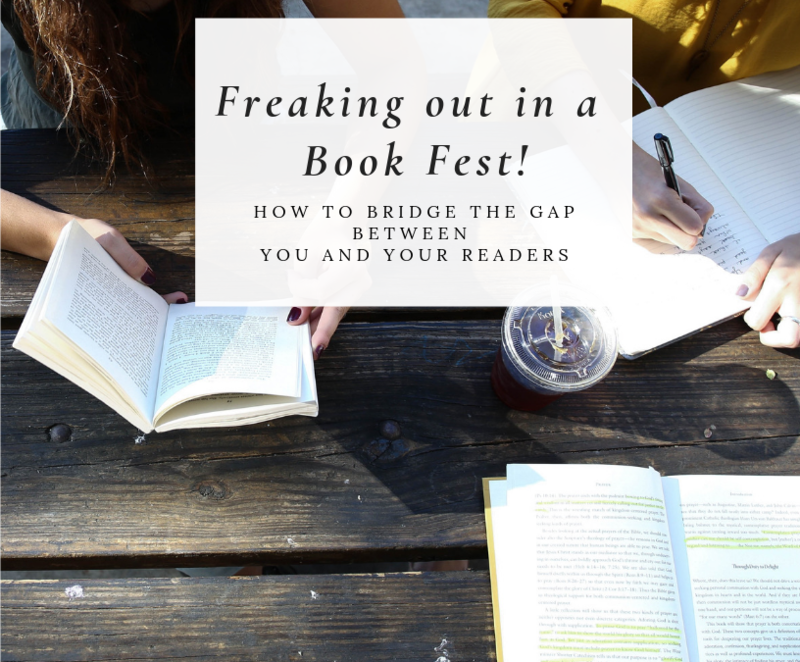 When I attended my local book festival where there’s a panel that you can meet and talk to authors, I was literally hyperventilating. I’m really an introvert person but I couldn’t miss the chance of interacting with an author. There was a hall dedicated to the meet and greet. The area wasn’t crowded. Tables were set off to the sides and the middle of the room but gave us, readers, plenty of path to peruse each table. It was daunting at first. I have seen and read other people who have gone to much bigger reader or author conventions that one can get lost in the crowd. This one seemed perfect to me. But I was still not talking to any author. I was avoiding eye contact with them. It was such a simple statement but that instantly broke the barrier between us. It made me feel at ease because he was interested in me and not on promoting his work nor did he try to sell me his book. He asked if I wrote and what I wrote. It was this interest in me that made me reciprocate the interest back. This was the same experience for the other tables where the author expressed in getting to know me more. Some gave swag away, whether it was taffy or bookmarks, that made me want to stop at an author’s table to chat. Others displayed such vivid book covers that this also made pause to read the blurb at the back. Oh, and I did buy a few books that day. Did I ever felt I was being sold to? Nope. Because these authors have already shown interest in me and only made suggestions based on what I’m interested in. No pushy sales tactics, only relationship building. As an author, you might be struggling to reach that reader. You might even feel the same way I felt when approaching an author, apprehensive and unsure if you’d be welcome. But as you can see, there are ways to bridge that gap. You have readers that are eager to meet you and discover your books. Stand up, stand out and have a smile on your face. Build a relationship. Start a conversation. Invest on what they are interested about. Because each interaction has an equal reaction. If you’re not interested in them (your readers), why would they be interested in your books? How do you break the ice between you and your readers? 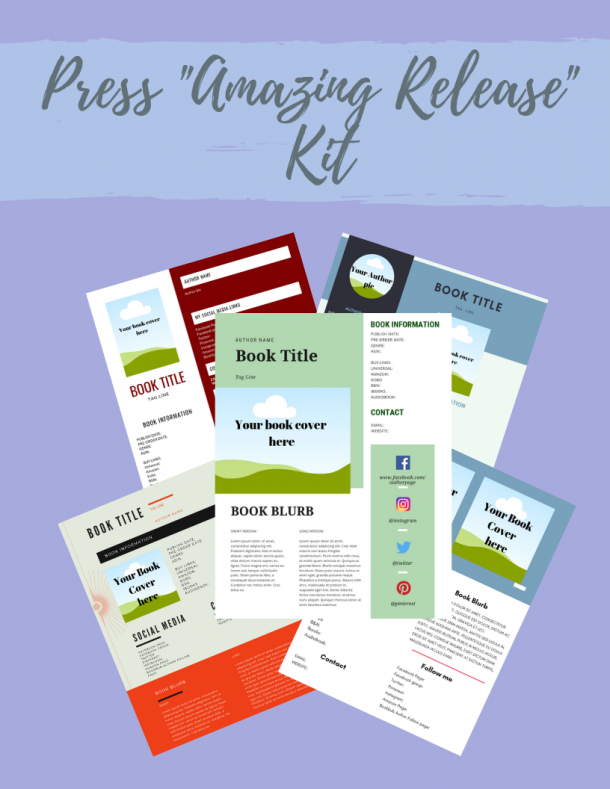 Grab your FREE Press "Amazing" Release Kit here! Ready to become a well known author and reach more readers? The Press "Amazing" Release kit helps you achieve that. Easy to customize Canva templates to take your author marketing to the next level. More loyal readers + more book reviews = more book sales in less time! Yay, fellow author! Your Press "Amazing" Release kit is on its way to you.